I love stories. It’s often said that the longest journey is the one from mind to heart. But the journey in the opposite direction can be very short. Stories touch the heart and from there it’s a quick journey to the head. Trey Glass is a professional basketball superstar who considers his fame on the court secondary to his life as a light among the people in his depressed neighborhood. 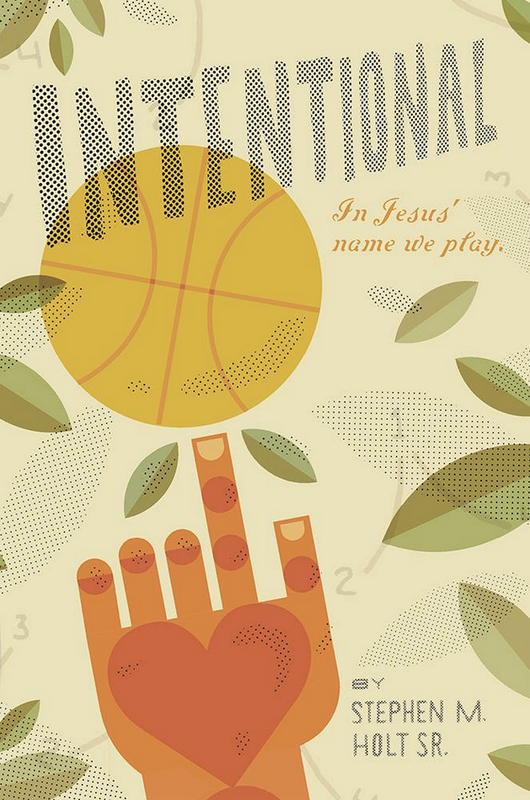 His parents raised him to live intentionally for God, and he takes that role seriously. For starters, despite his multi-million dollar contract, he chooses to live in a neighborhood most wealthy people would never consider. He treats street beggars with respect. He has compassion on the young alcoholic who kills his dad while driving drunk. He bails out a dozen street gamblers and provides opportunities for them to find meaningful employment. He falls in love with a Latina medical intern and fights sexual temptations that have plagued him all his life. Most interesting to friends of House2House, perhaps, is how he deals with obstacles to attending a traditional church and how his little house church becomes a beacon of hope in his racially divided hometown of Memphis, Tenn. But, of course, living like Jesus brings the reality that many people find his lifestyle objectionable. He encounters critics from every side—church leaders, team management, friends, sports reporters and more. And then there are the physical assaults from street gangs who don’t like what he’s doing for the neighborhood…. I remember wondering what it would be like if a famous person, one who was known by many, was ever bold enough to really live like Jesus. So, that was a large motivation for the book…to create a fictional character who really tried to live like his Lord. I spent nearly thirty years in a variety of positions in the institutional church, so I saw the inner workings of “religion” close up and first hand. And frankly, early in my career I began to not like what I saw…what God’s church had become. 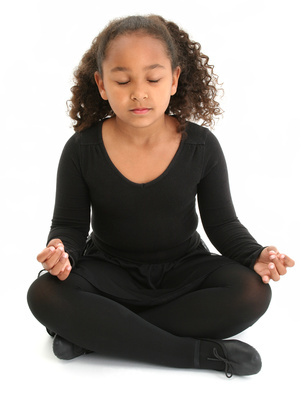 I also came to realize that my own sons were wrestling with the traditions their parents had followed. When they went off to college, their faith expressions changed, and I was delighted to see what was happening in their lives. They focused on the right things and gave up the lesser important matters. They actually had a lot to do with teaching me about the blessings of smaller and simpler faith communities. I truly believe it was God’s intention all along to gather his family in small, intimate groups. History shows that when church was taken out of homes and confined to cathedrals, many unfortunate things began to happen. I wanted to capture the benefits of these smaller communities in a form that people would actually read. Who did you intend to read this book? And why fiction? It’s odd…they say you should have a target audience in mind before you start a book. I didn’t. I just started writing, and when it was finished I sent the manuscript to friends of every age. They all liked it. In the back of my mind was the idea that if I wanted millennials to read the book, it would have to be fiction since they probably wouldn’t read a non-fiction, “how-to” book about house church. This is the kind of book that can change people. What kind if transformation took place in your own life as you created the story of Trey Glass? The thought I had throughout the entire project was “someone is going to ask if I live my life like Trey Glass lived his.” I found myself confessing time and again that I am not fully living as if Jesus was the number one priority in my life. That caused me to ask “why not?” Many of the examples of a true Jesus follower in the book came from points of decision I’ve had in my life, many of which I didn’t make the right decision. I’ve come to the conclusion that there is really no excuse. And that is haunting. The whole project has made me a better person. What do you hope the book accomplishes in the lives of its readers? I truly hope that readers will see that living like Jesus really is possible in twenty-first century America…and can be done by every race, every socioeconomic level, every sexual orientation, every person. We are here to care for one another, and Trey Glass does this as well as anyone I know. Readers will also face the realities of what such a lifestyle will cost them. 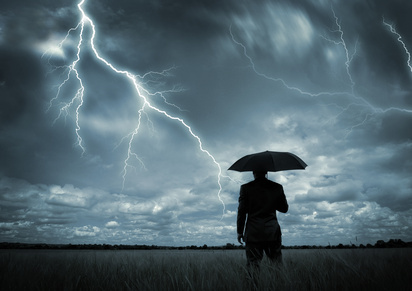 Jesus promised persecution, and Trey found that and more. We can expect the same if we choose to walk as Jesus walked. Erik Fish, founder of Student CPX which teaches students how to make disciples and plant churches on campuses, and his family are staying with us at present. A few days ago, four heavy boxes arrived for him. 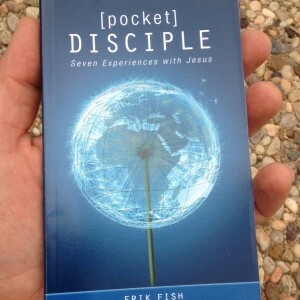 They were the first copies of a new pocket manual he has written called [pocket] Disciple: Seven Experiences with Jesus. The church that meets in our home seemed a good place to try it out. The book aims at teaching the basic commands of Jesus through seven discipleship practices. So last Friday, the group of us gathered there went through Experience #6: gather. We read through the instructions about how to use the book, discussed some Scriptures, answered questions and then experienced Jesus by celebrating communion together. With us was a young woman, a co-worker and friend of one of the gals who gathers with us. She is from the Middle East and has no background in Christianity. It was her second time here. She went through Experience #6 with us and was full of questions. So Erik and some others took her through Experience #1: change. She wept her way into the Kingdom. This little booklet is a great tool for discipling new believers. You can get it here. For most of us, the New Year is marked by a sense of anticipation. 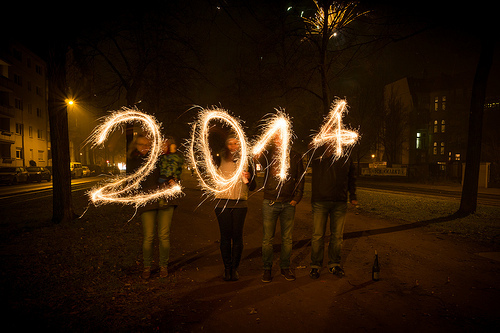 The old year is done with; what will 2014 hold? Here are three of my ideas for what 2014 might bring for those of us in the simple/organic/house church movement (or those with an interest in the role of women in ministry). There will continue to be an increasing emphasis on disciple-making movements. Profoundly effective disciple-making movements are beginning to emerge in this country, with, at this stage, hundreds of new believers stretching several generations. This is an exciting development, and one that I believe will continue to gain momentum. More to come on this in future posts. The simple/organic/house church movement will maybe lose some people as those who joined it to be fashionable drop out. However, it will become a foundational platform for other things God is doing–for example, discipleship in the marketplace, Kingdom finances etc. The conversation about women in the Kingdom will increase in intensity and become a (probably controversial) focal point. Am I right? Only time will tell. What do you think will happen in 2014? Could this really be church? When things had settled down and the kids were outside playing again, James posed a question to the rest of us. “How do you handle it when you hate someone?” Was this the Holy Spirit leading us to discuss this question? We thought so. For forty minutes, we discussed how a Christian should handle hatred, how to discipline kids, and what to do when Christians disagree. Everyone read Bible passages and shared personal experiences. Then someone else suggested that we pray about the situation. Again, this seemed to be the leading of the Lord, and so we prayed for each other. There were tears and laughter. Then the kids joined us for a time of praise. At one point I looked up, and two kids about nine and eleven years old were singing their hearts out with their faces raised, eyes closed. It may not have been the most in-tune worship, and it was certainly loud. But I thought to myself, Jesus, You’re here, and You love this! Author simplychurch1Posted on November 13, 2013 January 10, 2018 Categories Simple/organic churchTags church planting, house church, Jesus, organic church, simple church5 Comments on Could this really be church? This past weekend I met with a group of people to discuss missions. 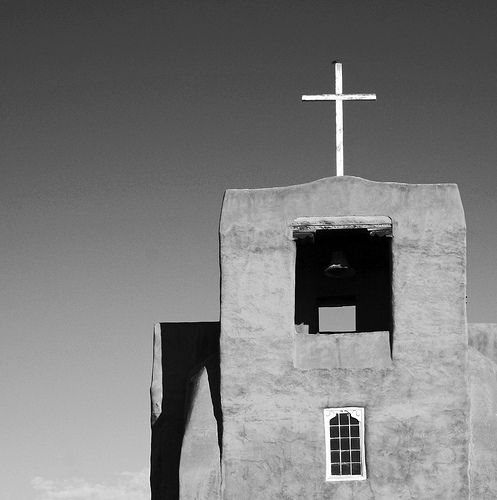 Traditional church is complex and complicated. Think of what goes into a typical Sunday morning service, let alone the upkeep of a building, handling the finances, keeping the programs running. Ordinary people, who have no training in ecclesiology and who have jobs and families, would find it very difficult to start and/or run a traditional church. Simple/organic church, on the other hand, is so simple, almost anyone can start one. Traditional missions is complex too. They require mission agencies and mission boards to keep them running. Raising support is tough. It’s hard to adapt to a different culture. A question I’ve been asking myself for some time is this. What would simple missions look like? Just as simple/organic church has a very different feel and DNA to the traditional, what would be the differences between simple and traditional missions? Author simplychurch1Posted on October 2, 2013 January 10, 2018 Categories Simple/organic churchTags authority, Boaz, church leadership, covering, Frank Viola, house church, organic church, Ruth, simple church27 Comments on Do simple/organic churches need a “covering”?